Instantly search the many forms of data that exist across a large enterprise network. dtSearch Network instantly searches terabytes of word processor, database, spreadsheet, emails (with attachments), ZIP, XML, PDF, HTML, Unicode files and more. Over two dozen indexed, unindexed, fielded and full-text search options. Highlights hits in all files; for HTML, XML and PDF, while displaying links and images. The built-in Web Spider can add remote Web sites to a searchable database. dtSearch supports Microsoft Access, Excel (*.xls, *.xlsb, *.xlsx), Word (*.doc, *.docx, *.rtf), and PowerPoint (*.ppt, *.pptx) files created by Office 2010. The new release adds FindPlusdistributed searching, a Web spider, enhanced XML support and Unicode support, to improve access to information throughout an organization. The new release also offers API enhancements, expanding the dtSearch developer components utility for use with a wide variety of programming languages. 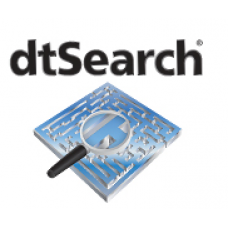 dtSearch supports Microsoft Access, Excel (*.xls, *.xlsb, *.xlsx), Word (*.doc, *.docx, *.rtf), and PowerPoint (*.ppt, *.pptx) files created by Office 2010.
dtSearch products offer instant indexed (and slower unindexed) searching of large document collections. Proprietary indexing and searching algorithms maintain a fast rate of indexing and virtually instantaneous searching over very large document collections. Over two dozen text search options can work alone or in combination for unmatched intelligent searching. Search features include: fuzziness adjustable from 0 to 10, synonym/concept/thesaurus, boolean, phrase, wildcard, proximity, stemming, numeric range, natural language relevancy-ranked by hit density and rarity, variable term weighting, indexed and unindexed searching, and more. dtSearch products automatically recognize a wide variety of document types, including word processor, database, spreadsheet, ZIP, XML and more. The products highlight hits in HTML and PDF while keeping all embedded links and images intact. The products have built-in file converters to convert other popular file types to HTML for display with highlighted hits. FindPlusdistributed searching is an integrated feature of dtSearch Desktop, Web and Network that conveniently allows a single search request to span everything from local drives to remote servers. Operating through a single user interface, FindPlus enables indexed searching of files and other data throughout an organization, without the need to collect the data in a monolithic repository. Because FindPlus uses an XML-based protocol for exchanging and aggregating search information, developers using the dtSearch Engine can also easily incorporate this capability into their own applications. In addition, enhanced XML support provides a way to combine data from any source, while retaining the ability to search on field and table information. XML is increasingly becoming a universal data format. However, other search engines do not fully incorporate the hierarchical structures in XML data, effectively reducing XML to "flat" text. 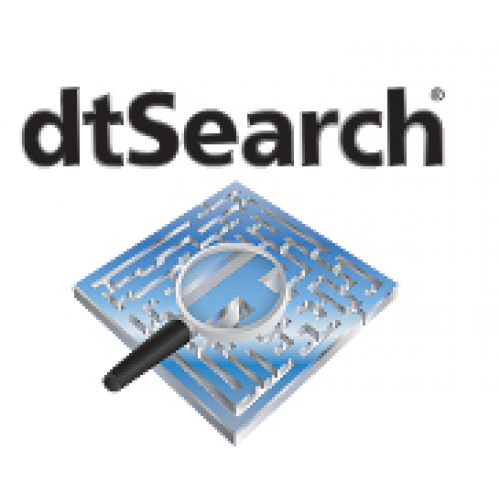 In contrast, dtSearch can perform indexed searches using the full range of dtSearch features across an entire XML database, or limited to a specific combination of fields or sub-fields, with no sacrifice in speed.